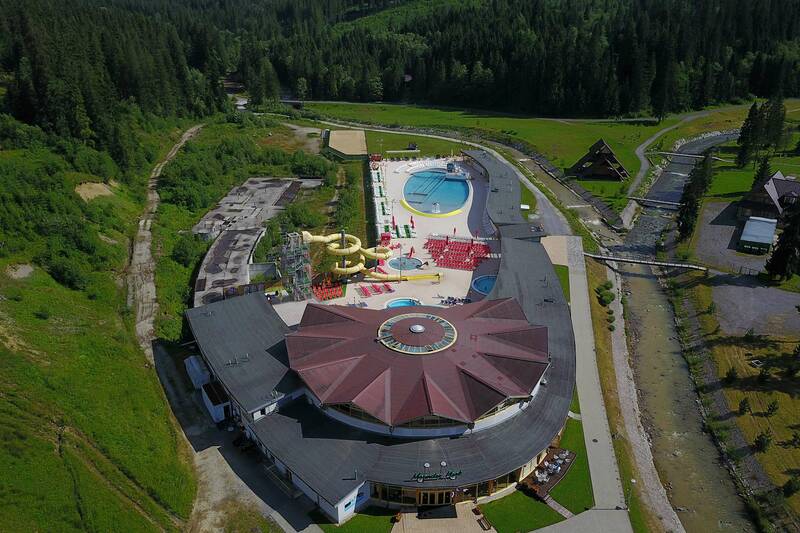 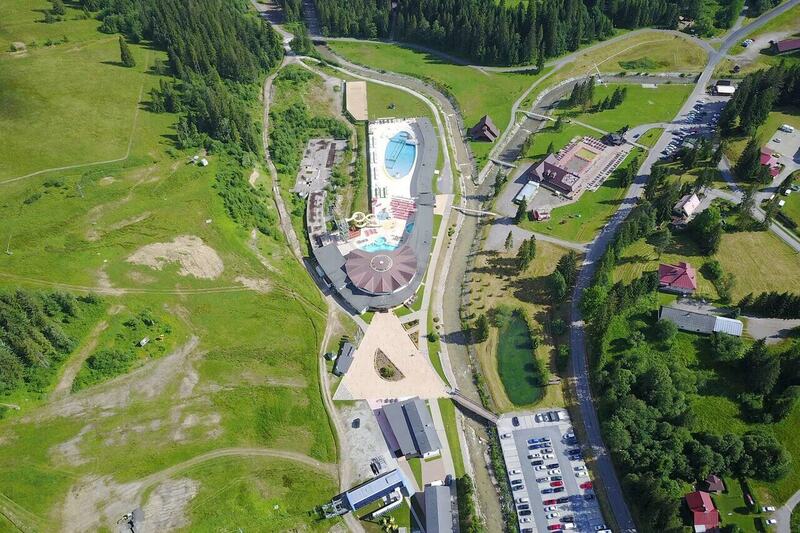 Aquapark Meander is located in the mountain village of Oravice in the foothills of the Western Tatras, not far from the border between Slovakia and Poland. 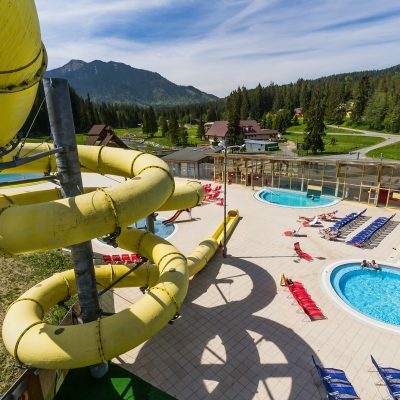 A spa resort, Oravice is famous for its healing geothermal waters, and visitors can experience the stunning landscape of the Tatras and fun for the whole family – all in one place. 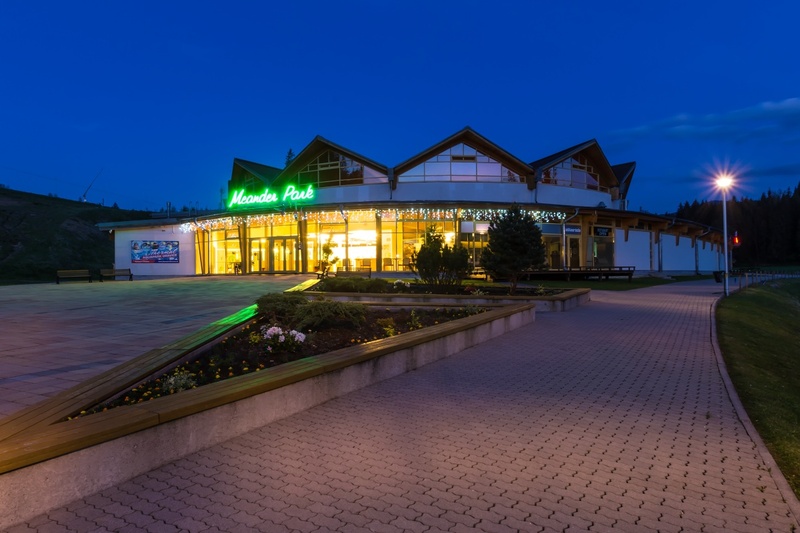 Thermal springs have been found in Oravice since time immemorial. 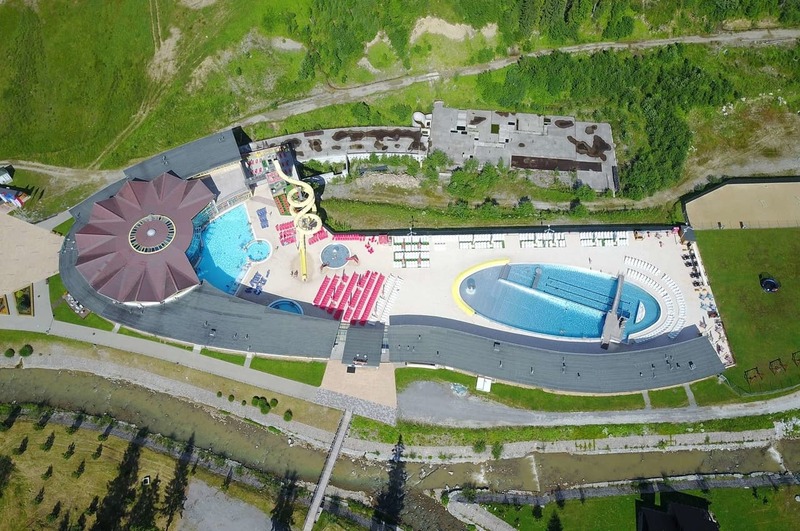 Our aquapark was built “only” in 2004. 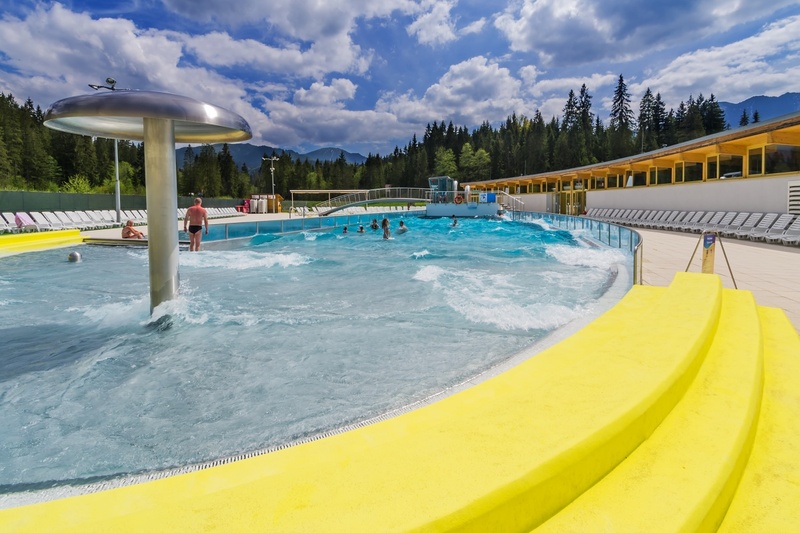 The temperature of the water used by the Geothermal Spring is 58° C, although it has to be cooled for use in the aquapark. 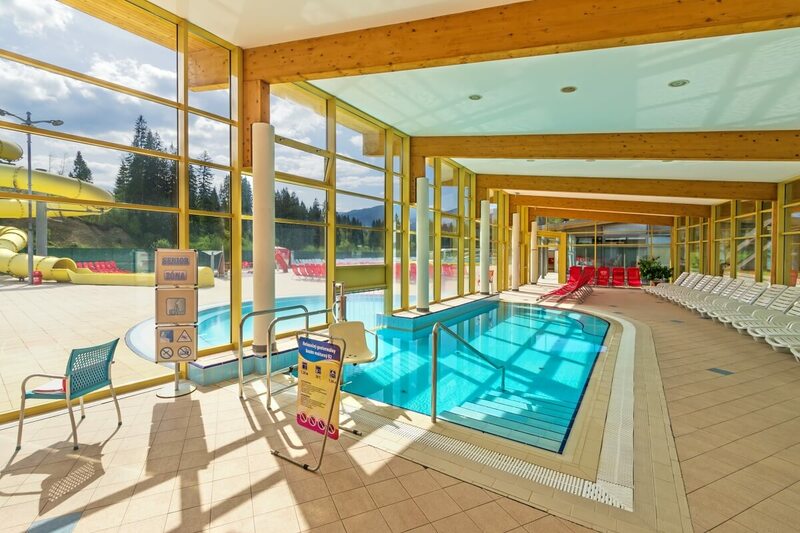 The Aquapark is for all lovers of swimming and relaxation of all ages, and we aim for it to be enjoyed by not only families, but also senior citizens and couples. 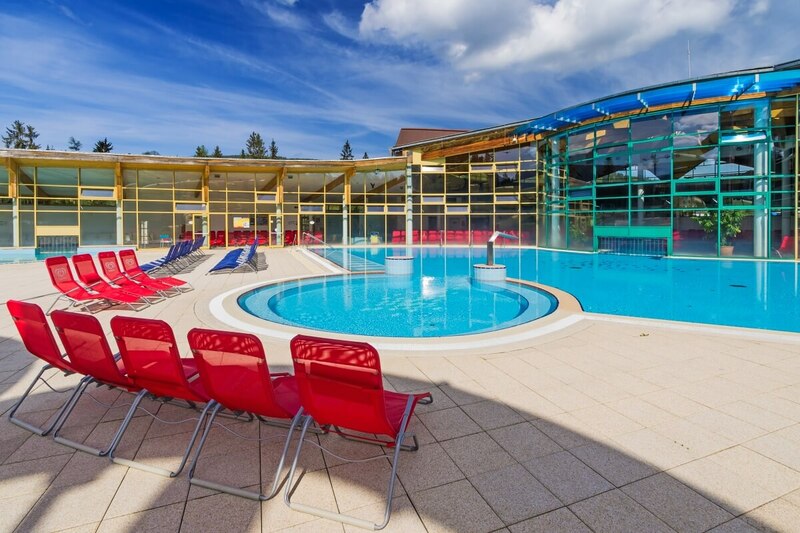 For entertainment and relaxation we offer 9 swimming-pools with a total area of 1,545 m2. 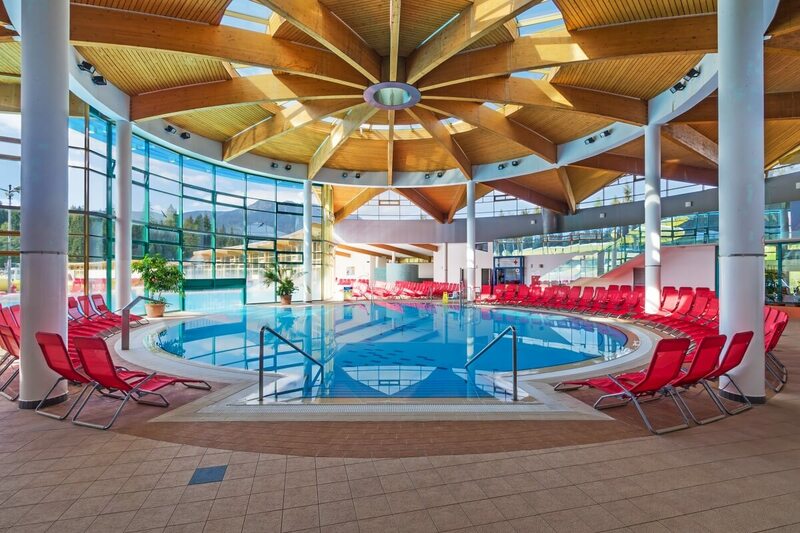 Our pools are open 12 months a year. 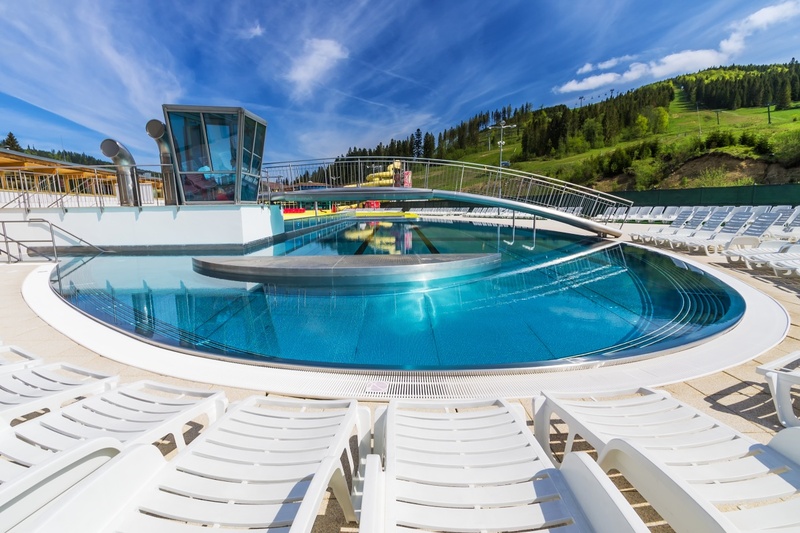 The aquapark also includes outdoor pools that maintain a constant temperature of 38° C, even in winter. 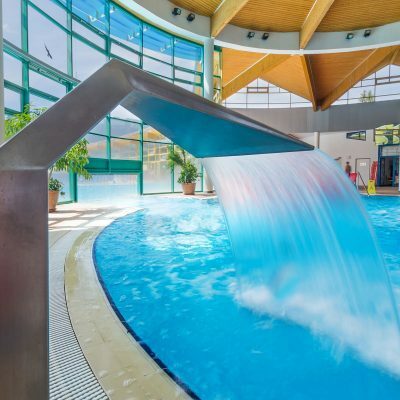 Winter bathing is an unforgettable experience for a lot of our guests. 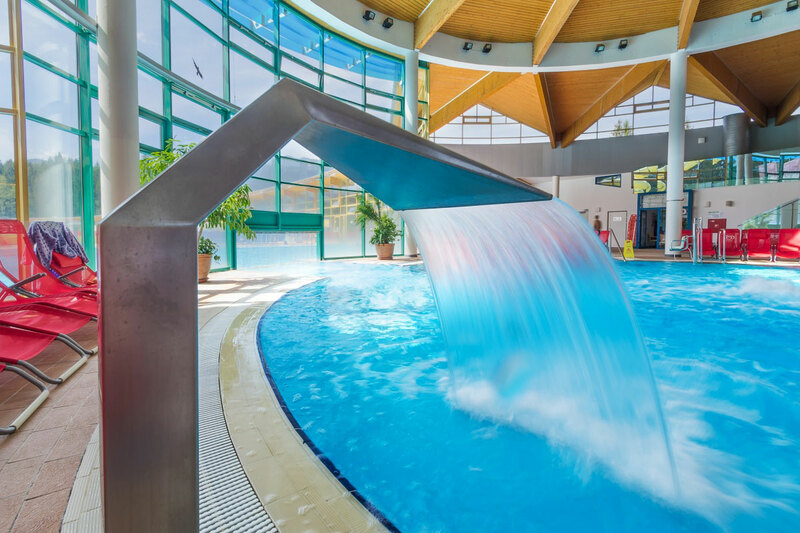 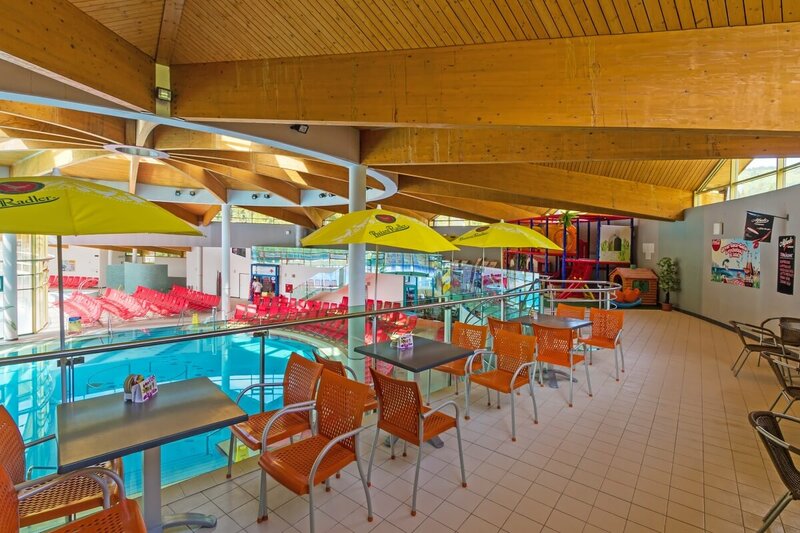 The aquapark’s biggest attraction is the pool with thr wave machine and our 100 m long flume. 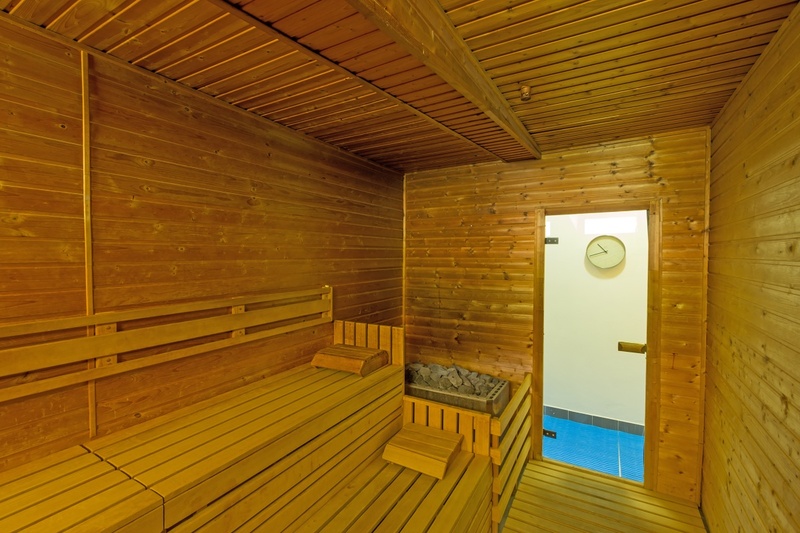 The relaxation area of the park includes a Finnish sauna and massage centre. 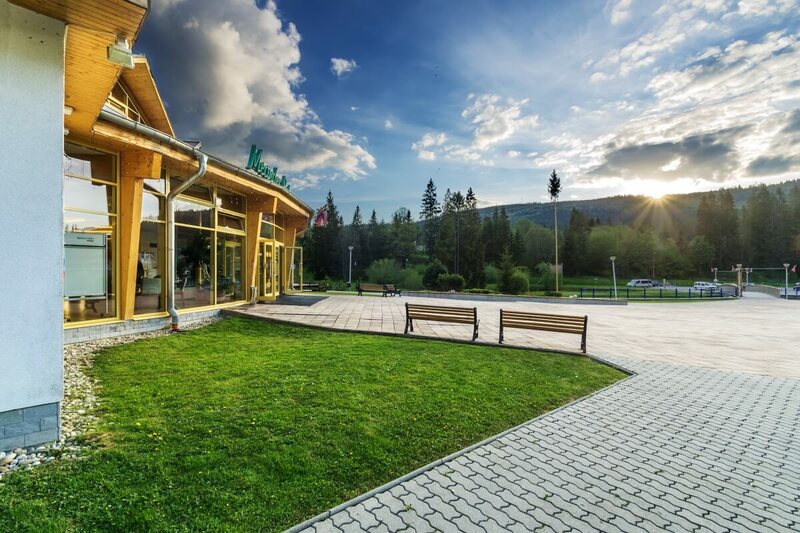 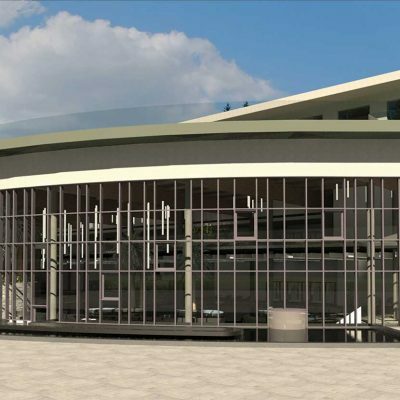 There’s also something for food-lovers, with a bistro, buffets, food stalls, cafe and themed restaurant with a range of excellent wines and international cuisine. 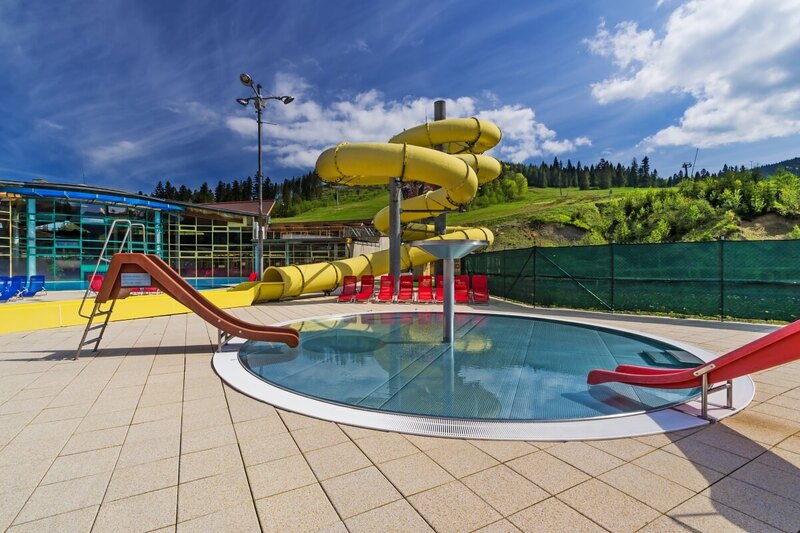 Free admission to the aquapark for children 6 and under. 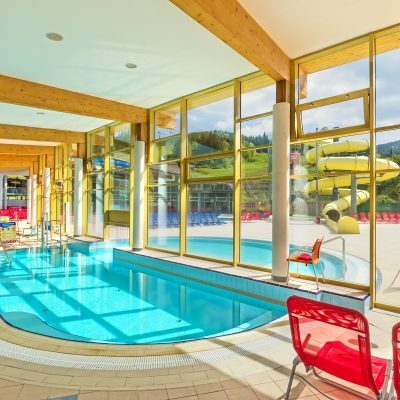 Other visitors can claim a range of discounts or buy online and get a 5% discount.